Your furnace works together with the rest of your heating and cooling systems to help ensure you and yours have a comfortable home environment. The efficacy of your heating system affects that of the cooling system. This is why it’s important for you to check if your furnace and the other components of your heating and cooling systems are working well. If you encounter problems with your furnace, it’s better and safer to get help from a professional furnace repair service provider rather than to try and fix it on your own. Here are ten situations when you should call for a furnace repair service. When Should You Schedule a Furnace Repair? Get a furnace repair service if you notice a sudden increase in your gas and electric bills. As a furnace ages, its efficiency decreases. If age isn’t the problem, your furnace might also have an internal anomaly that would be hard for you to determine alone. In both cases, your furnace would need more time to produce the same amount of warm air it usually provides you. Your gas and electric bills may abruptly increase if your furnace takes more time to produce warm air. If you’re sure your furnace is causing the increase, call a professional furnace repair service provider to have it checked and fixed. Get a furnace repair service if there’s water leakage from your furnace. If you see water leaking from your furnace, or pooling around it, it’s generally because the furnace’s condensate line might be clogged. While it’s slightly less dangerous than the next furnace problem in this list, contact your local furnace repair company as soon as you detect water leakage from your furnace. Get a furnace repair service if there’s gas leakage from your furnace. The smell does not go away. There’s a strong smell of fuel around the furnace. Strange odors suddenly waft from the furnace. When these occur, turn off your furnace’s gas supply valve. Do not turn any other switches on or off, and avoid lighting matches or other combustible materials. Get help from a local furnace repair service provider right away. Get a furnace repair service if your furnace makes weird noises. These noises have different causes. Squealing or whistling noises from your furnace may be due to issues with the fan or belt. Banging or groaning may be caused by loose or broken internal components. Furnaces that have gone beyond the average life expectancy of 16 to 20 years can also make strange noises. These noises won’t go away on their own, so don’t ignore your furnace when it starts making these noises. When you hear these sounds from your furnace, have a local furnace repair technician check for the root causes of these noises, and fix your furnace accordingly. Get a furnace repair service if air from the furnace doesn’t circulate well. Issues with a furnace’s fan, belt, or motor can cause the furnace to release uncontrolled heat, have a weak airflow, or not blow any air at all. As soon as you notice a sudden, strange change or stoppage in the furnace’s airflow, call a professional furnace repair technician to put it back into good shape. Get a furnace repair service if the furnace’s thermostat is malfunctioning. If some rooms in your home are too hot while others are too cold, it’s a sign that your furnace’s thermostat is not working properly. Another sign is when your furnace releases only a little amount of heat or none at all, no matter how many times you have turned its thermostat up. Thermostat malfunction may be due to blown fuses, loose wiring, tripped circuit breakers, and other problems with the furnace’s main electrical panel and subpanels. Another likely reason is ductwork leakage, which lets treated air escape. You may try to resolve this by flipping the switch off and back on, but you could be at risk of electrical shock if you do so. It’s better to contact a professional furnace repair service provider who can check and repair the thermostat for you. Get a furnace repair service if the furnace blows cold air. A furnace will normally blow cold air first before it gives out warm air. If your furnace still blows cold air a few minutes after you have switched it on, then you might have a problem. It might be because of your thermostat fan settings. If it’s set to “On”, the fan will blow air even when the furnace is not heating the air. You get cold air from your furnace as a result. Make sure the thermostat fan is set to “Auto” instead, so it would only work when the furnace heats the air. If this doesn’t work, there might be issues inside the furnace that you’d need a professional furnace repair technician for. If you have an old furnace and it blows cold air, its pilot light might have already gone out and the thermocouple, a copper rod that the pilot light hits, needs replacement. If your furnace is of a newer model and it blows cold air, its flame sensor needs cleaning. You can reignite the pilot light according to the furnace manufacturer’s instructions or clean the flame sensor. For best results, however, it’s best to get help from your local furnace repair service provider. Get a furnace repair service if the furnace is short-cycling or overcycling. Your furnace regularly cycles on and off to save energy and to maintain the temperature that you like for your home. When the thermostat detects a drop in the temperature, the furnace comes on and heats the air. However, if your furnace repeatedly switches on and shuts off in a short period of time, it’s short-cycling or overcycling. It might be due to problems with the thermostat, a clogged filter, or improper air circulation. Contact your local furnace repair technician as soon as you notice that your furnace is short-cycling. Get a furnace repair service if the furnace’s pilot light turns yellow. A normal pilot light is blue in color. If it turns yellow, or it flickers, it means the furnace has an incorrect gas-to-air ratio, or too much air is getting into its system. As a result, a yellow pilot light produces carbon monoxide, a toxic gas. If you see that your furnace’s pilot light has turned yellow, call a furnace repair expert right away. Doing so can help reduce risks of carbon monoxide poisoning at your home. Get a furnace repair service if the furnace takes too long to switch on, or does not start at all. If your furnace doesn’t start after numerous attempts to switch it on, its thermostat might have been damaged or its internal wirings might have been disconnected. This can also be a problem with old furnaces. Have a furnace repair service provider check your furnace and fix it for you. 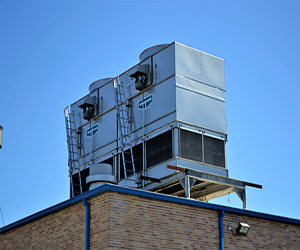 Learn more about HVAC’s here. Even though we use furnaces more often during the winter season, it’s good to have them regularly checked and repaired if needed. Prevention is better than cure, so the saying goes. We can’t risk spending the winter season with a malfunctioning furnace. Are you a Virginia Beach resident looking for a superb repair service to get your furnace in good shape again? Turn to none other than Smiley’s Heating & Cooling, Virginia Beach’s HVAC repair expert. Click here to learn more about us.